Join us for a holiday dinner and the Mexi-Californian creations of the culinary team at Maya. 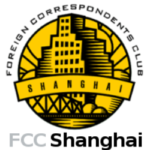 Come meet your fellow Shanghai FCC members! Dinner and a drink is FREE for paid-up members. Those who wish to renew or join the FCC can do so at the dinner or pay by Yoopay. Please click here. Time: 7:30 pm to 9:30 p.m.